This is what March is all about. The chance to dream and perhaps crush some along the way. Practice by practice, game by game, bracket by bracket…you’ve got love it. For sure the ladies over at Portland State are. They should take pride in their latest accomplishment, knowing they’ll need to rely on that drive and toughness as the Big Sky Tournament rolls on. On Wednesday night in Reno, Nevada, the Vikings took a 65-62 win over the #2 seeded UND Fighting Hawks in the quarterfinal round of the Big Sky Conference women’s basketball tournament. Some solid zone defense flustered UND, a fourth quarter 10-0 run, and Ashley Bolston (Big Sky Newcomer of the Year) scoring 13 of her final, 20 points in the second half was all the ingredients needed to create the aroma of a little madness in early March. Hats of to the Vikings and head coach Lynn Kennedy for putting together a solid game plan and making the necessary adjustments along the way to get Portland State focused on finishing. It wasn’t easy, particularly with a rather poor overall shooting night and being outmuscled on the boards. But PSU’s long defenders helped lockdown the paint and lanes to the rim, flustering UND with that 10-0 run in the fourth quarter essentially providing the knockout blow. So, what is the plan of attack against #6 seeded Idaho State? It comes down to the backcourt. PSU will look to limit both Saylair Grandon and Grace Kenyon, as the combo stepped up big to reach the Semifinals with Grandon going for 18 points and Kenyon finishing with 16 points, six rebounds in the tight win over the University of Northern Colorado (60-59). 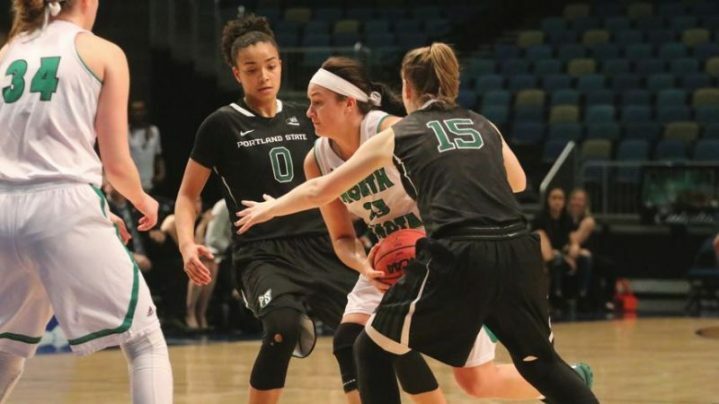 The game plan doesn’t have to be tweaked much, but watch for Portland State to get scrappy and aggressive as they continue their march toward that Big Sky Championship game.